BurgerFi – Kingery Construction Co. 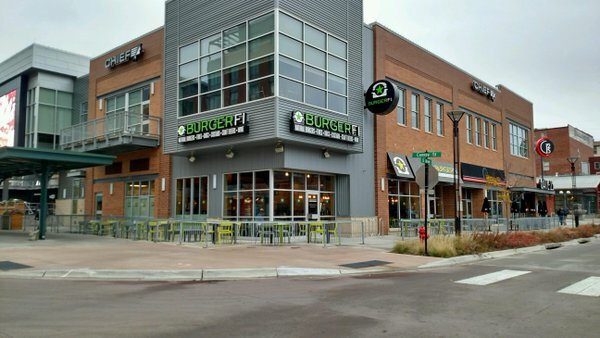 Since opening their first location in Lauderdale-By-The-Sea, Florida in 2011, BurgerFi has exploded, boasting nearly 100 locations across the U.S. including one very special location here in downtown Lincoln. 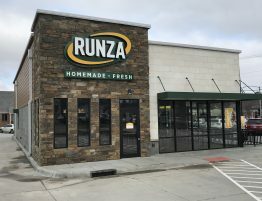 This location is styled after the signature look of BurgerFi. 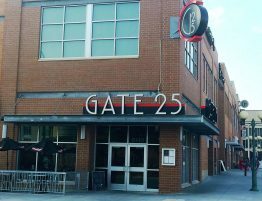 Bringing a modern flair and their vibrant green to catch your eye under the Cube in Lincoln’s Railyard district. Along with the pop of color this location contains multiple 10-foot fans, large enough to sustain the perfect temperature throughout the entire dining room area, no matter the temperature outside. This feature also happens to be an environmentally conscious design concept since one fan is the equivalent of 9 fans, with the energy requirement of only 3, which means they consume 66% less energy.